The Olympic Games is unquestionably the largest and most important sporting event in the world. Yet who exactly is accountable for its successes and failures? This book examines the legitimacy and accountability of the International Olympic Committee (IOC). This non-governmental organisation wields extraordinary power, but there is no democratic basis for its authority. This study questions the supremacy of the IOC, arguing that there is a significant accountability deficit. 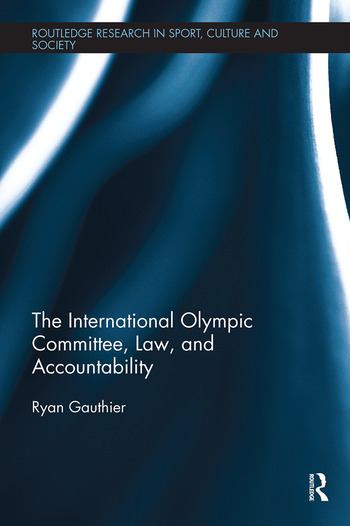 Investigating the conduct of the IOC from an international legal perspective, the book moves beyond a critique of the IOC to explore potential avenues for reform, means of improving democratic procedures and increasing accountability. If the Olympics are to continue to be our most celebrated sporting event, those who organise them must be answerable to the citizens that they can potentially harm as well as benefit. Full of original insights into the inner workings of the IOC, this book is essential reading for all those interested in the Olympics, sport policy, sport management, sport mega-events, and the law.